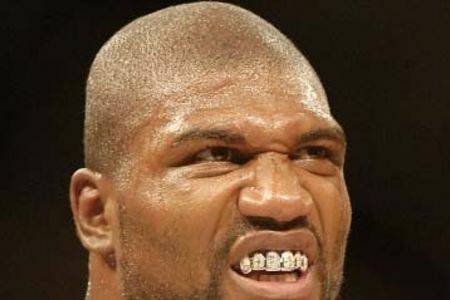 Well alright, this is what we expected out of Rampage Jackson, right? I think so. Two Bellator fights, two first-round knockouts. This time, Rampage and Christian M’Pumbu kind of jittered at each other for about 4 minutes until Rampage knocked M’Pumbu down/slipped and then Rampage methodically worked him over and then knocked him out with some violent ground and pound. Rampage vs. Mo in the light heavyweight finals, like it was supposed to be.